Caravanning is every Englishman’s (and woman’s) right, and Whitby on the North Yorkshire Coast offers caravanners from across the country the chance to enjoy their favourite pastime with a whole host of caravan sites and touring parks available in the region. 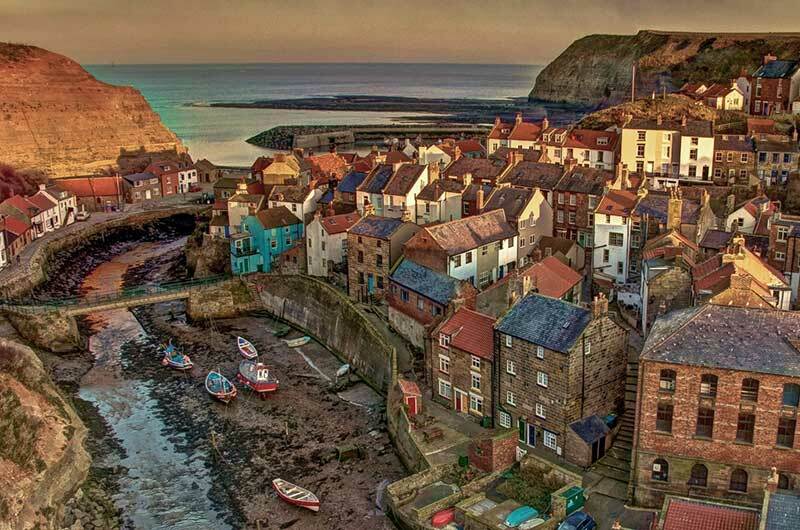 Escape from the stresses of everyday life and head to the UK’s ‘Dinosaur Coast’ for a fantastic holiday or short break full of outdoor activities, relaxing walks, fascinating towns and villages boasting rich maritime history. Exploration, new sights and new sounds are made all the better if you know you can retire to your home away from home at the end of a fun-filled day, so here is an overview of just some of the caravan sites available within the region – all with varying facilities and locations to suit you. This caravan park for touring caravans and motorhomes can be found just ten minutes walk from Robin Hood’s Bay and features electrical hook-ups to all of its hard-standing pitches as well as two ‘super luxury’ washrooms with free showers and hot water, hand and hair dryers, and full laundry facilities. The site itself is family-friendly with a children’s adventure play park and grassed play area. Situated ‘a Yorkshire Mile’ from Whitby outside the village of Hawsker this touring park is somewhat of a contrast to the above, with a simple back-to-basics mentality allowing holidaymakers to enjoy their stunning surroundings in peace and quiet. Dogs are not allowed on site, yet if you are yearning for a bit of animal company, feel free to say hello to the farm’s ‘girls’ – friendly hens who like to roam around the fields. All pitches come with electric hook-ups and the toilet and shower block has recently been refurbished (2016). 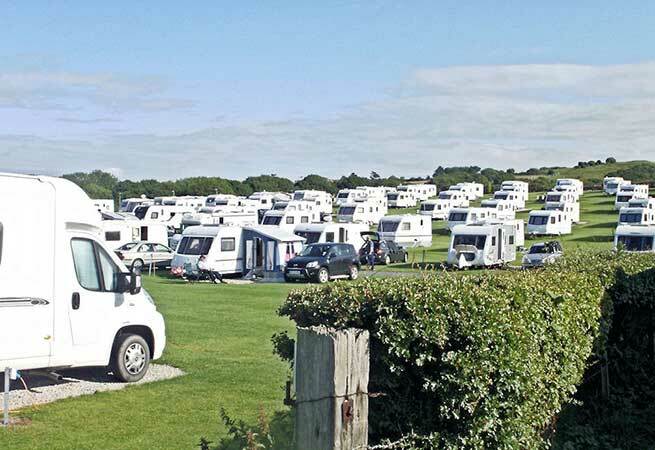 With 60 places for caravans, Broadings Farm, Whitby, is split between several fields. All caravan pitches are hard standing and have their own electric hook ups. It’s worth mentioning that the farm does also offer two holiday cottages for those traveling without their own touring caravan. This truly delightful caravan park is set within the North Yorkshire Moors, with one of its most appealing features being the wonderful sea views that can be enjoyed from most of the pitches. Up to two dogs per caravan are welcome to stay at Sandfield House Farm and uniquely, the grounds also include a secure exercise area for your furry friends to run around in. 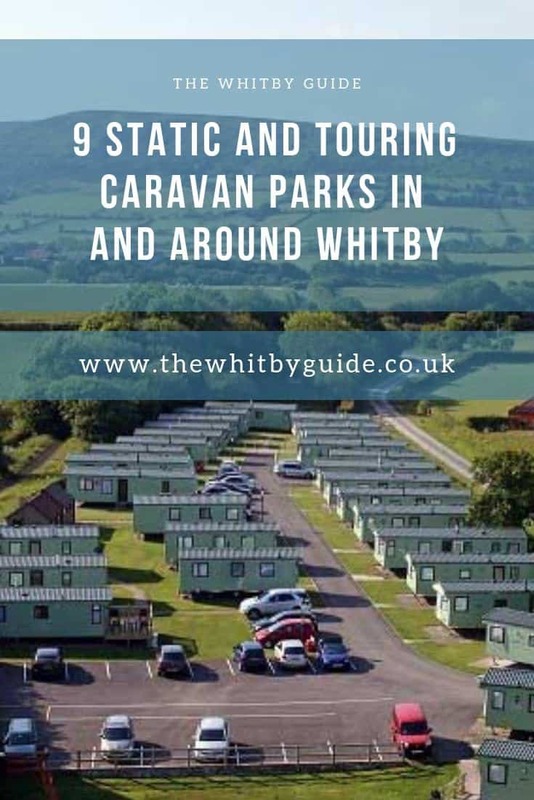 The caravan park is situated opposite the Whitby Golf Club and is within walking distance of the beach and promenade – it also featured a tennis court giving all of its guests plenty of things to see and do! It’s not just caravan owners who can enjoy caravanning. If you don’t have a caravan or motorhome of your own, you can still benefit from the delights of camping in comfort with a stay at one of the many static caravans and holiday homes to be found in Whitby and the surrounding areas. On the outskirts of Whitby town is the Whitby Holiday Park, perched on a cliff-top and offering magnificent views across the dramatic North Yorkshire Coast. The perfect location for walkers and nature-lovers alike, the park is close to countryside trails, cliff top footpaths and beaches, with the Cleveland Way National Trail accessible from the park itself. Within the family-friendly park you will find a cafe, clubhouse and shop as well as a children’s playground – you can even bring your pets (well-behaved ones of course!). Its accommodation comes in the form of Platinum, Gold, Pet-Friendly and Access + luxury caravans to suit couples, families, furry friends and visitors with limited mobility or small children. This park also welcomes Touring Caravans, Motorhomes and Seasonal Tourers. Just one mile from Whitby, High Straggleton Farm is situated amidst picturesque countryside scenery with panoramic views of the North Sea and surrounding landscape. The farm features seven luxury static caravans sleeping between six and eight people, all of which have double-glazing and central heating. You are within a 15-minute walk to the nearest beach which stretches for miles between Whitby and Sandsend. All guests at Straggleton Farm are also given an information pack full of things to see and to Whitby and the surrounding area. This family-run park is another cliff-top caravan park, set above the town of Whitby overlooking the sea. A quiet park, it is a short walk away from the rocky coves and beaches where your children will love searching for tiny marine creatures and fossils in the rock pools. You can also reach famous Whitby Abbey, just half a mile away, on a short walk. The park itself offers two modern holiday homes for hire, both of which are well furnished, sleep up to six people and 1 dog. There is also a children’s play area on site. Many visitors to this part of North Yorkshire love it so much that they decide to return year after year. We have therefore included the Highgate Howe Holiday Home Park in this list for those who may be considering purchasing a holiday home themselves and enjoy unlimited caravan holidays! This beautiful owner-occupied caravan park enjoys panoramic views across the North Yorks Moors National Park and as such is one of the most sought-after in Yorkshire. It offers a huge range of opportunities for getting out and about amongst the fresh Yorkshire air, whether you wish to explore the nearby coastal walks, search for fossils or take a leisurely stroll through the nearby towns and villages. Whether you opt for a static caravan site or one of the many touring caravan and motorhome parks in and around Whitby, one thing that you will not be short of is choice. A wide range of both small, quiet caravan sites and large activity-filled sites can be found just minutes from the town and its neighbours, giving you the flexibility to choose to holiday in the way that suits you best! Love it? Pin it now!